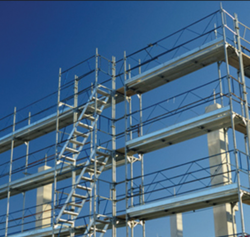 Manufacturer & Exporter of Contract Scaffolding Services & Scaffolding Contracts Services. Our product range also comprises of Scaffolding Clamps, Slab Shuttering Material and Shuttering material. With rich industry experience & knowledge, we have been able to provide the best array of Tunnel Shuttering. 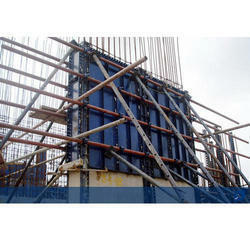 We are the leading supplier of Construction Scaffolding. Immensely used for the construction of bridges, buildings, and other structures, these products are available in various lengths & thickness as per the client’s demands. Before the end delivery, our products are rigorously examined on certain well-defined parameters of quality for its durability and high efficiency. 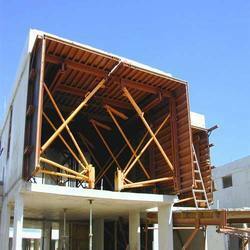 Our organization is engaged in providing high quality Wall Form System to our esteemed clients. We have experienced professionals with the help of whom we render these services using modern technology in adherence with the international quality standards. External corner angle, Double adjuster panel, lap angle and splay panel internal corner panel etc. Other Wallform accessories like assembly nut, double/bridge clamp, single clamp and bold and wedge & clip are used for numerous conventional wall form shuttering applications. 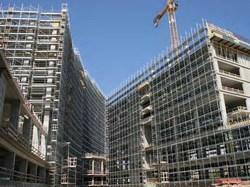 Our organization is engaged in providing high quality Scaffolding Contracts Services to our esteemed clients. We have experienced professionals with the help of whom we render these services using modern technology in adherence with the international quality standards. Our professionals interact with clients and as per their designs and requirements, offer these services. Furthermore, clients can avail these services from us at the most affordable prices. Looking for Scaffolding Contracts Services ?